The reason I ask is that as a sixteen (or so) year old listening to NWA’s debut album of the same name and being blown away by it and the hype surrounding a group that seemed to have the force to move popular culture a step further away from complacency, I now struggle to understand what happened to the Ice Cube from those heady days. The reason I struggle is that I have since seen such films as Are We There Yet?, an Ice Cube vehicle of Hollywood’s making. 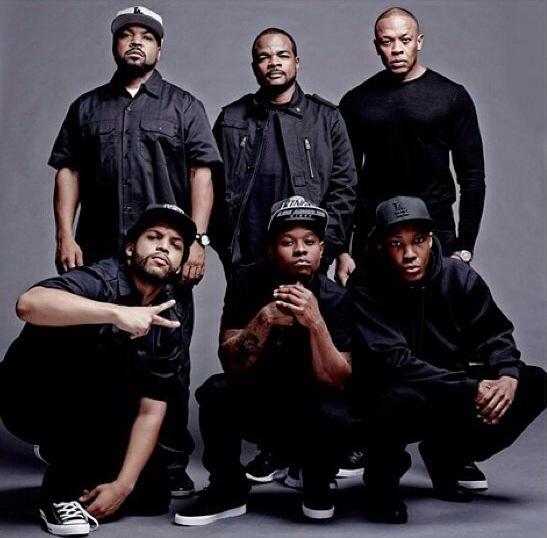 Of course I must await the film’s general release, but I can’t help feeling that it will be a pointless exercise because of the position Ice Cube has carved out for himself, in Hollywood, in the years following his exit from the group – maybe I just expected more than to see him in roles like the Jump Street franchise. Is it me, or is Chuck D the only true standout figure from those days, someone who has stuck to his principles, regardless of whether you agree with them, and who has refused to become a Hollywood puppet like so many others who aspire to fame and celebrity, and if so, where is the independent film charting their rise? I’d rather watch that. This entry was posted on Friday, February 27th, 2015 at 2:09 pm	and tagged with Films, Hollywood, NWA and posted in Popular Culture. You can follow any responses to this entry through the RSS 2.0 feed.